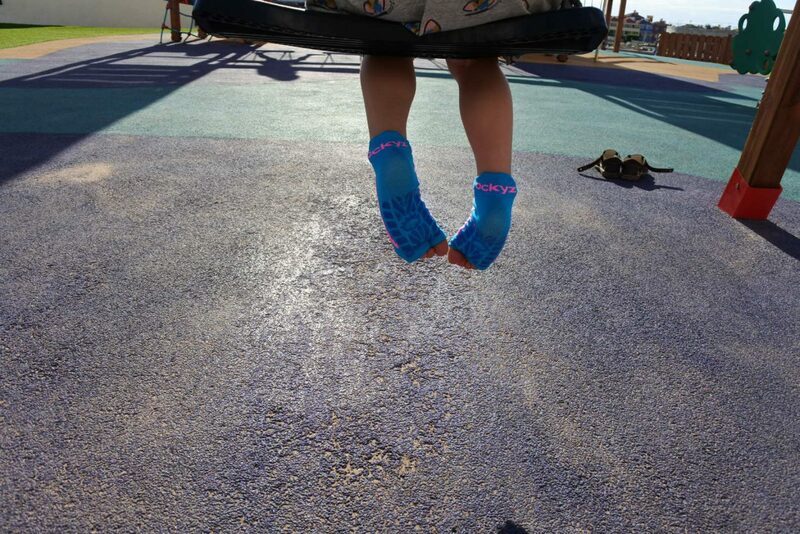 Recently we were approached by Ockyz to try out their swim socks and with our holiday to Tenerife on the horizon we jumped at the chance. Here’s what we thought. 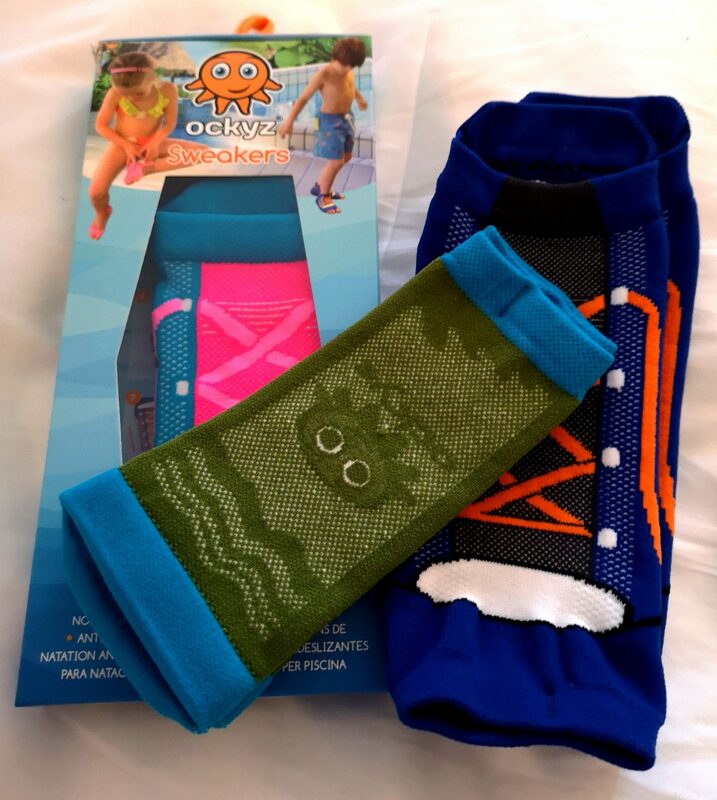 The Ockyz swim socks, which they call Sweakers® are available in a wide range of colours. My three each chose a different design, which helped ensure we were able to tell which pair belonged to who. 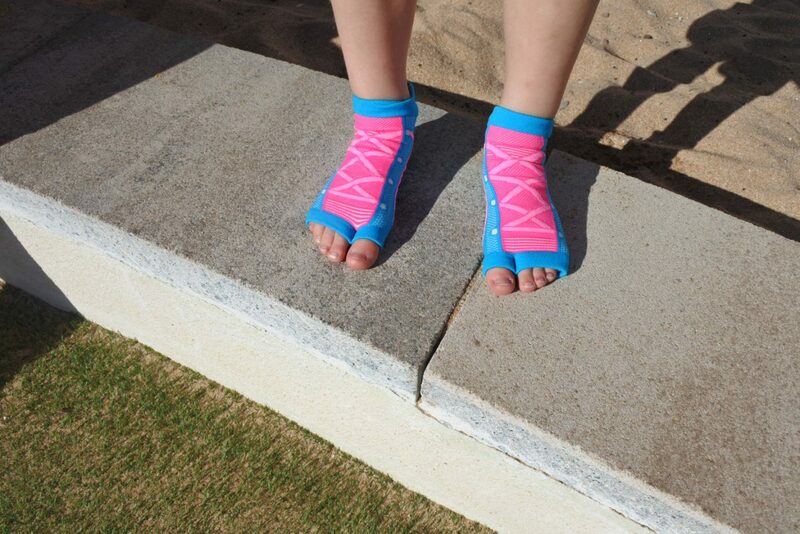 The socks are designed to prevent slipping when children are playing around the swimming pool. They are also anti-bacterial, quick drying, light weight, breathable and washable. 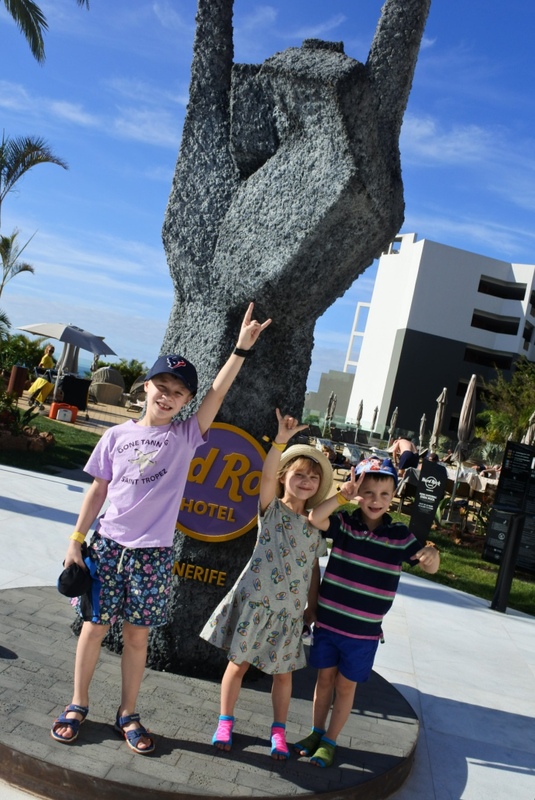 We took them with us on our recent trip to Tenerife and decided to try them out on the first day. They initially took a bit of getting on, but once we’d figured it out they went on quite easily. The twins loved them and they were more than happy swimming and playing in them. It was quite reassuring know that the chance of them slipping was reduced. Even though we repeatedly tell them not to run, they often “forget” and get over excited and end up running, so knowing that they had these on meant I was constantly on edge. Oscar, who is 9, wasn’t quite as keen on them, but he’s at a bit of a funny age and is starting to become a bit opinionated about what he wears. I think that he perhaps thought they were a little young for him. We went to Tenerife at the end of December, so although the weather was nice, it wasn’t red hot. This meant the floor didn’t get hot as it often does in the middle of summer. I think these swim socks will really help make it bearable to walk on the hot floor as they provide a bit of a barrier. I’m sure Oscar will change his mind when the floor is roasting hot when we go to Las Vegas in May! The Ockyz swim socks dried really quickly and have also washed really well. 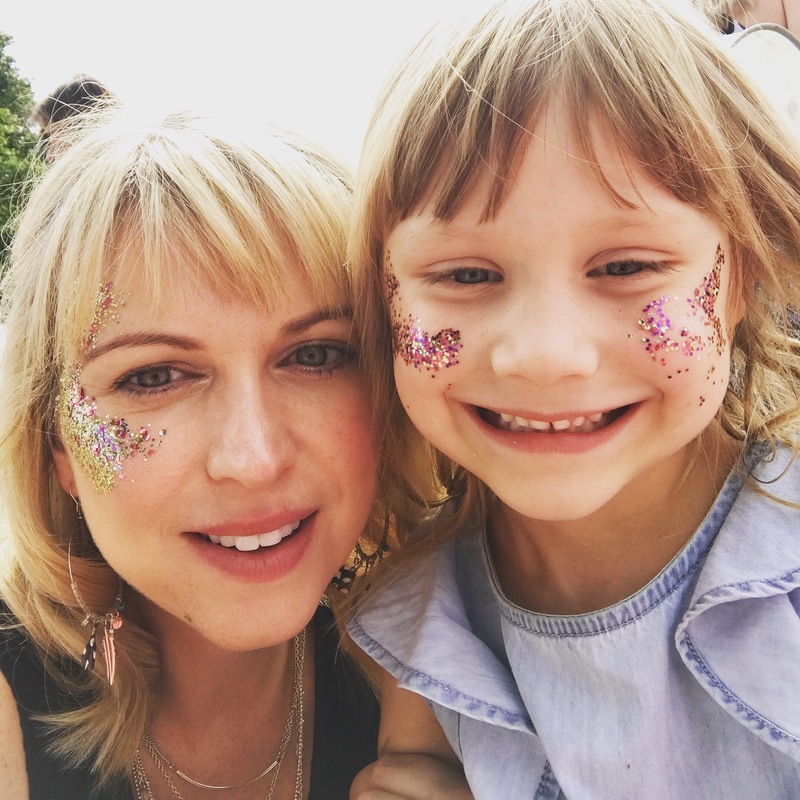 I’m really glad we tried them and I’ll definitely be packing them in my case (for all three kids) for our next holiday. They are great for toddlers and younger kids who have a tendency to get over excited around the pool. Ockyz Sweakers® are available from their website and start at €14.95. You can also purchase on Amazon. Please note that we were gifted the Ockyz Sweakers® in return for a review. As always, we have shared our honest thoughts and opinion. Win two pairs of Sweakers!